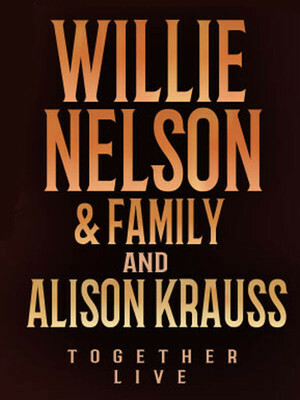 Why See Willie Nelson & Alison Krauss? 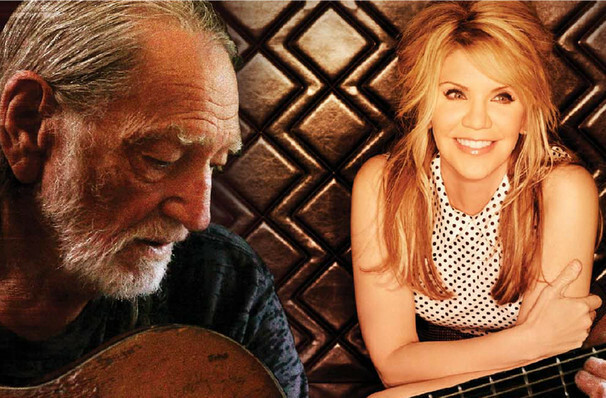 A dream union for every country fan, Willie Nelson and Alison Krauss are both towering figures within the genre. Nelson was a pioneer of the 'outlaw country' movement in the early 70s and his songwriting credits include Patsy Cline's signature number Crazy and Always on My Mind. Alison Krauss was an essential part of the bluegrass revival of the past twenty years and has won an unbelievable twenty-seven Grammy Awards (the current record for a popular music artist). They'll be be pooling their considerable talents for another lengthy North American tour, with Krauss sampling tracks from her 2017 album Windy City. Sound good to you? Share this page on social media and let your friends know about Willie Nelson & Alison Krauss at McMenamins Historic Edgefield Manor. Please note: The term McMenamins Historic Edgefield Manor and/or Willie Nelson & Alison Krauss as well as all associated graphics, logos, and/or other trademarks, tradenames or copyrights are the property of the McMenamins Historic Edgefield Manor and/or Willie Nelson & Alison Krauss and are used herein for factual descriptive purposes only. We are in no way associated with or authorized by the McMenamins Historic Edgefield Manor and/or Willie Nelson & Alison Krauss and neither that entity nor any of its affiliates have licensed or endorsed us to sell tickets, goods and or services in conjunction with their events.